While pipelines do provide a cost-effective method of transporting oil and gas across long distances, it is still crucial for companies to save on pipeline development costs when they can. Pipeline development represents one of the most significant capital investments oil and gas companies will make, so everything they can do to cut costs helps. One of the key ways oil and gas companies can cut costs on their pipeline development projects is by using GIS mapping tools for pipeline surveying. Of the many factors that drive high expenses for pipeline routing projects, most of them, including things like diameter, distance, and operating pressure, represent fixed costs that companies really have no control over. On the other hand, companies can control which terrain they choose to route their pipelines through. This means that pipeline routing is one of the few opportunities that oil and gas companies have to easily cut their pipeline development costs, and GIS is one of the best ways to take advantage of that opportunity. In the past, oil and gas companies could build their pipelines just about anywhere. Now, as pipeline right-of-ways grow more and more congested, these companies have to be very selective when picking a route in order to avoid both natural obstacles and existing pipelines. Fortunately, with GIS, oil and gas companies have a new technology that can help them better address this new challenge. GIS helps provide a far more accurate look at a piece of land than ordinary topographical maps could ever provide, offering a clear and complete representation of the spatial relationships around a piece of terrain. As a result, oil and gas companies can get a pipeline route map that helps them make more cost effective decision. In pipeline surveying, obstacles like wetland crossings and rough terrain create problems for companies. The pipeline development will have to stop whatever they are doing to find a way to make the pipeline go through, around, or beneath the obstacle. Having to change the pipeline route like this is a waste of time and money, which is why it’s always good to use GIS and just avoid the obstacles in the first place. It’s also important to recognize that GIS can help you in a variety of other ways as well. When oil and gas companies develop pipelines, they have to account for issues such as how the new pipeline will affect the community. This is important because it helps companies consider things like how the settlements would be affected in the event of oil leakage, and how much the company would have to set aside for compensation payments to existing land owners. In addition, oil and gas companies have to consider the environmental impact of their project before they can successfully pitch the project to the appropriate regulatory boards. GIS helps planners understand the overall impact of the project, and how to alter the pipeline routing to minimize the damage to vegetation and avoid protected areas like wetlands altogether. In pipeline surveying, what you can’t see definitely can hurt you. 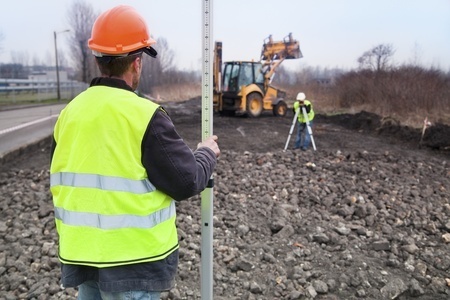 Failing to account for poor terrain and other obstacles can delay your project, which costs money. Failing to account for how your pipeline will affect people and the environment can also be very costly, both in terms of financial losses and damage to reputation. Having as much visibility over your pipeline route as possible is key, and GIS can provide that visibility for you. Ultimately, utilizing GIS services will help you save money and ensure a more efficient and cost effective pipeline route map. GIS (Geographic Information System) provides a central location for data and analysis critical to today’s surveying, planning, construction, and management. 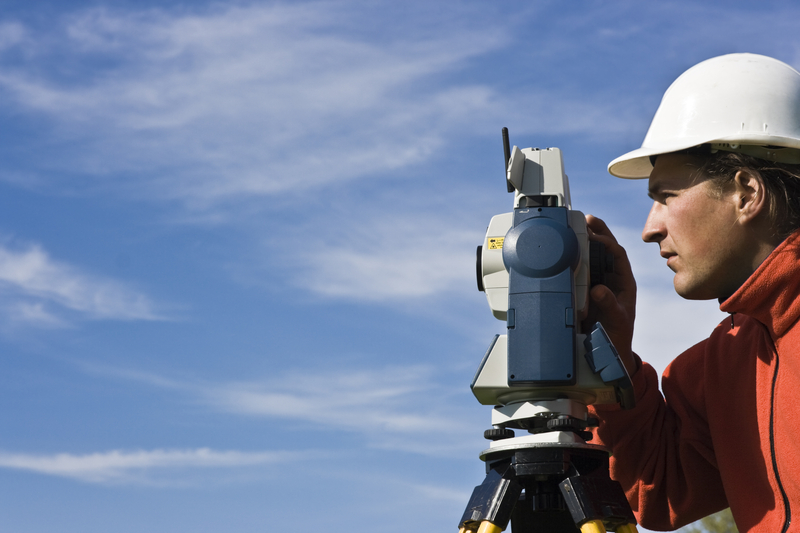 It allows professional land surveyors a way to provide more accurate and less expensive surveys. While these features alone are enough to justify using GIS, there are a number of additional benefits of using GIS and Surveying which can add value to commercial, industrial and oil & gas construction projects. These provide additional value not just to the surveyors but to their clients as well. In this article, we explore three of the overlooked benefits of using GIS and how they impact a construction project. Collected, analyzed, and mapped data help managers make better and more informed decisions about plan location and design. Construction projects depend on a wealth of data for things like site selection, accesses and easements, zoning restrictions, conservation of environmentally sensitive areas, natural resource extraction, existing utilities and community resources. GIS provides this additional information, allowing for informed decision making and concise planning in consideration of location, people, and the environment. Historic data, documents, and maps provide a basis for a prospective project’s feasibility. More accurate background information leads to more options to satisfy all concerns about the project. This gives design managers, politicians, and interest groups the right data about location, resources, and previous development to drive project outcome. Equally important are as-built drawings, updated base maps, and current data after the project is completed. Government organizations in particular are responsible for maintaining authoritative public records regarding changes of geography (geographic accounting), topography, and land use. Zoning, population, land ownership, administrative boundaries, and private access roads to restricted lands, are contained in the GIS cultural geographic records. Physical geography such as forest clearing, biological assessments, environmental deviations, landmarks, courses, measurements, and water resources (hatcheries, intakes and dams) are also a part of GIS geographic records. GIS is quickly becoming the standard for government and larger corporations. It’s an important tool that helps to envision, develop, and formally illustrate ideas of expansion, acquisition, and notable resolution to congestion, pollution, and resource availability concerns. Historical data may be used as base maps for conceptualizing, understanding, and prescribing action and utilizing available resources. Various data overlays provide additional geographic data, recurring patterns, sensitive areas, hazards and relationships associated with practical land use, environment, and security issues. Environmental Impact Statements (EIS) require large amounts of varying kinds of data to be collected and analyzed. Project permits by government agencies hinges on collected EIS and BA (Biological Assessment) data. The project team is typically comprised of personnel in the office and out in the field, the client, and consultants. All members need access to surveys and analysis data at some point during the decision making and construction problem solving stages. Information sharing is critical for managing teams in remote areas. GIS offers a central database resource that all groups may access, analyze, and input into the project’s conversation. GIS has transformed how organizations manage their resources, solve problems, make decisions, and communicate. To learn more about the benefits of using GIS for land surveying, please feel free to contact us with any questions that you may have. GIS consulting services provide critical assistance for planning, maintaining, evaluating and managing the infrastructure of transportation systems around the globe. Intelligent transportation systems are based on the results of GIS consulting, enabling decision makers to prioritize their work and make the best choices. With GIS mapping technology, you can build rich, dynamic and detailed mapping applications that will guide your project from start to finish. Transportation planning projects stem from a lifecycle that starts with the planning stage and includes design, environmental management, asset and maintenance management, construction, operations, safety, security management and more. GIS mapping is an essential element of each step in this process, producing tools like as-built drawings, multi-layered data maps and more. The performance of a transportation system and the productivity of employees both increase when these GIS tools are utilized. During the initial planning stage, GIS mapping helps transportation pros analyze their projects in regard to a variety of factors, including environmental, land-use and energy consumption factors. GIS mapping brings all these factors together in one easy-to-use medium. GIS consulting during the design stage benefits engineers by producing detailed imagery, elevation models and critical environmental information. Design and financial software can easily be integrated into a GIS, making construction cost estimations simpler. One of the most important applications of GIS mapping during the planning of transportation systems is environmental management. Through GIS maps, project planners can better understand environmental issues, determine eco-friendly solutions and identify the impact of their decisions on the environment. Growth issues are addressed through integrated information regarding land-use, employment density, housing and other factors. This information helps planners make better decisions regarding environmentally-sensitive matters. Having a detailed design plan displayed within GIS allows the engineers and planners see the effect every option will have on the land and economy surrounding the project before even breaking ground. These are just a few of the ways Landpoint’s GIS consulting services and GIS mapping services can improve your transportation projects. Learn more about how GIS mapping can help you through every stage of the process by contacting us today! Even the best-planned projects can be riddled with costly setbacks. A well designed GIS serves to dramatically reduce these setbacks by providing the most accurate, up-to-date GIS mapping data to project management at all times. When utilized across multiple tasks, positions, and departments, our integrated GIS services eliminate the frustration of duplicated efforts and miscommunications at the source of most project setbacks. What are GIS Mapping Services? GIS mapping services provide a highly detailed view of your data displayed alongside aerial imagery, hybrid base maps, land use and ownership information, and countless other options masterfully combined to result in a product tailor-made for your exact needs. This product is then updated and edited around the clock to provide you with real-time GIS mapping data at all times for improved decision making in each and every task. When used in addition to GIS mapping, 3D Scanning services and visualizations are particularly useful in monitoring structural integrity at all stages of project development. By utilizing 3D scanning, Project managers can approach their duties with more detailed information than ever before. In doing so, tasks can be assigned more effectively and achieved more efficiently while saving time and funds that were previously wasted during unforeseen setbacks. These setbacks, delays, and miscommunications can occur for any number of reasons throughout the life of a project. Our goal is to provide you with industry leading GIS mapping services that will effectively reduce and eliminate these issues while providing constant feedback and support for the long-term success of your project. For more information on how we can help eliminate costly setbacks in your project, contact us today.